MILWAUKEE -- The Bon-Ton Stores, which operates 260 department stores in the U.S., is expected to go out of businesses after two liquidation firms became the highest bidders at an auction for the bankrupt company's assets Tuesday. A bankruptcy court hearing was scheduled Wednesday to approve the sale and liquidation details, but a statement from the company's CEO suggested the end for The Bon-Ton Stores Inc. is certain. "While we are disappointed by this outcome and tried very hard to identify bidders interested in operating the business as a going concern, we are committed to working constructively with the winning bidder to ensure an orderly wind-down of operations," said President and CEO Bill Tracy. The 160-year-old company has survived economic recessions and depressions, but like several other brick-and-mortar retailers in recent years it couldn't survive the shift toward e-commerce, led by Amazon.com Inc. The Bon-Ton Stores has a strong presence in Wisconsin, where it operates nine stores and employs 2,255 people who will lose their jobs. One of the company's headquarters is in downtown Milwaukee. "The stores obviously have been a part of this community for decades and decades and it's sad to see them go," said Milwaukee Mayor Tom Barrett. Liquidation firms Great American Group and Tiger Capital Group were the highest bidders for the company's assets and no one else was willing to outbid them to continue store operations. 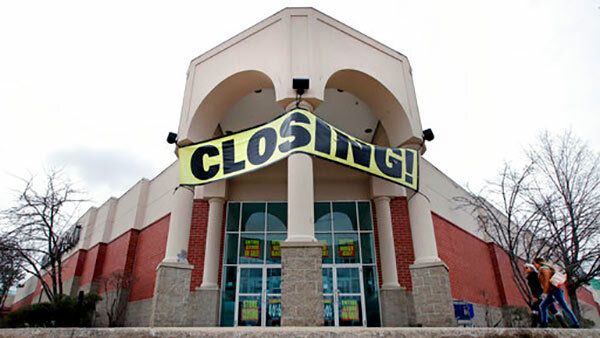 The Bon-Ton Stores was operating 260 stores in 24 states, largely in the Northeast and Midwest, when it filed for bankruptcy in January. The stores operate under different names, including Younkers, Boston Store and Carson's. Cultural retail behemoth Toys R Us is also going through liquidation and in March initiated a going-out-of-business sale at its U.S. stores after operating under bankruptcy protection for months. "I don't think there are too many willing investors in brick and mortar stores now. They've seen what's going on. I think people are nervous," said Purush Papatla, marketing professor and interim Associate Dean of Academic Affairs at the University of Wisconsin-Milwaukee. "Essentially liquidators have an open field." The businesses The Bon-Ton Stores has across the country sometimes serve as anchors at malls, and their departure could impact other businesses nearby with less foot traffic, Papatla said. One Boston Store is located in Milwaukee's Shops of Grand Avenue mall. "It's part of a national transformation," Barrett said. "Consumer preferences are changing dramatically and changing very fast right now."